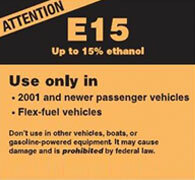 As a condition of approving 15 percent ethanol (E15), the Environmental Protection Agency has issued a new ethanol label (below) that gas stations will be required to post on their pumps. When the policy takes effect, a label like this one may appear at your local service station if the owners decide to sell this new fuel. In early 2011, while the ethanol industry was lobbying to limit consumer disclosure, EWG asked EPA to authorize a more detailed label to give consumers even more information. The agency, under pressure from the ethanol lobby, rejected many of our recommendations. See our blog post for more on this topic. 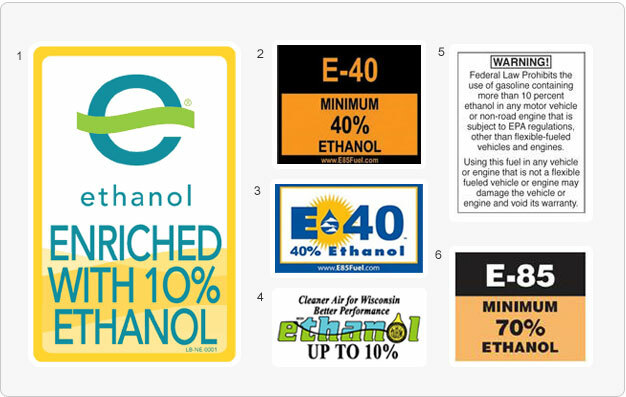 Here are other ethanol labels you may encounter. Service stations can voluntarily place them on pumps. 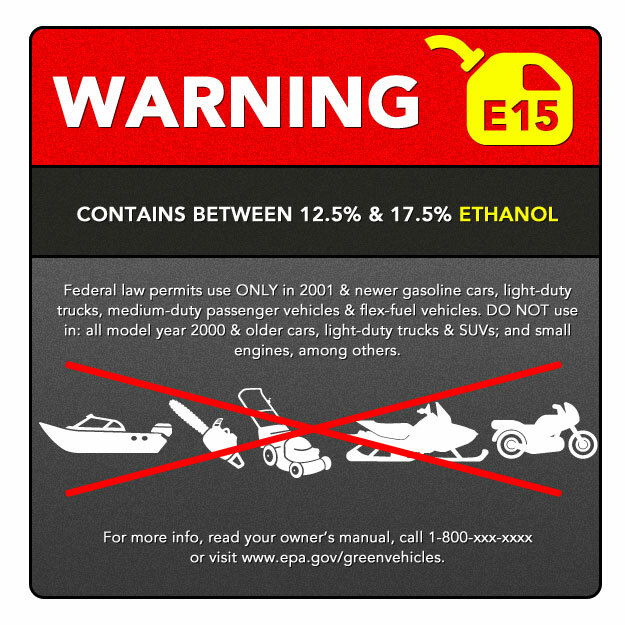 Federal regulation does not require gasoline stations to consistently label ethanol blends other than E15.